Summer on Fire – Young Adult Novel – Publishing Contract! 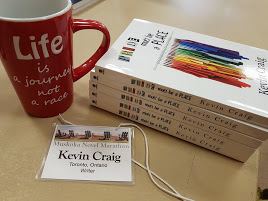 While I was participating in the 2010 Muskoka Novel Marathon this past Saturday, I received a contract offer for my Young Adult novel, Summer on Fire! Summer on Fire will be published in ebook form. The tentative release date is July, 2011. I’m extremely excited about this publication. I worked long and hard on this one! It began as a NaNoWriMo project in 2003, my first NaNoWriMo attempt, actually. And I’ve been working on it on and off since then. Zach Carson is a loyal friend. But is loyalty enough to keep best friends together when one of them sets fire to the rural barn they use as the local hangout? Zach, Jeff Barsell and Arnie Wilson struggle to pick up the pieces when news spreads that a body was discovered in the burnt out shell of the neighbouring home. When the word murder is used by the local police, the stakes grow even higher. When the police start searching for their most likely suspect—none other than Jeff’s older brother, and nemesis, Marty Barsell—the boys decide to join forces and come up with a way to prove his innocence. But just how innocent is Marty Barsell? When Marty admits to being at the scene of the crime, the three friends enlist the help of Zach’s annoying sister, Sherry, as well as the sympathetic town eccentric, Ms. Halverton. But can they keep it together long enough to save Marty, and themselves, from eminent catastrophe? Summer on Fire is the story of friendships, and the lines we are asked to cross in order to keep them. I will be posting all the details soon.